Cartersville, Ga.— Patcraft’s newest resilient tile collection, Monochrome & Surface Tone, is designed to transform space and experience. 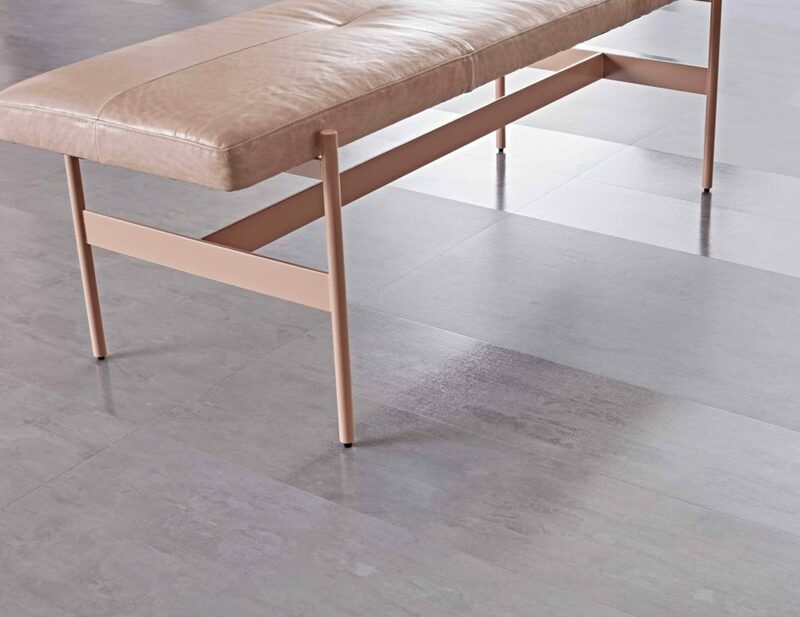 Featuring abstract visuals with a natural yet sophisticated aesthetic, this collection offers simplicity to promote connection and inspire creativity through the use of visual variation in the tile’s finish, the company said. Monochrome Matte is available in 18 X 36 tiles, and the complementary Monochrome Gloss accents are available in 9 X 36 tiles. Intended only for accents and borders, Monochrome Gloss’s installation is limited to no more than 20% of a space. Surface Tone is available in 11 refined colorways ranging from neutrals to brights and is offered in 9 X 36 tiles. Featuring a 20-mil wear layer for superior durability, the collection is polish and buff optional. The 5mm product construction allows for installation alongside carpet without the need for transition, and an ExoGuard finish provides enhanced scratch and stain resistance.